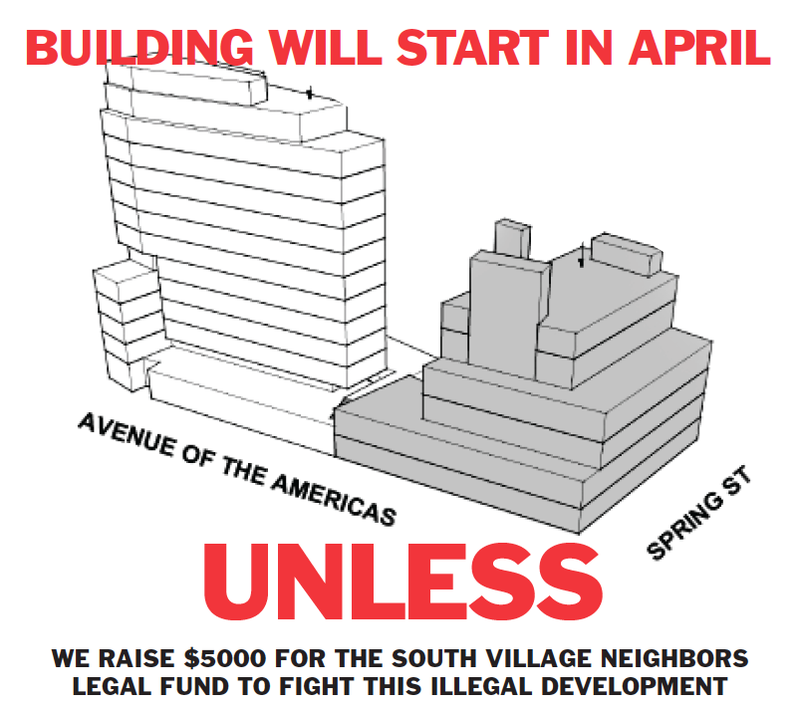 The South Village Neighbors are pulling together a legal fund to challenge the luxury condominium debacle planned by God’s Love We Deliver & QT Development. After consulting with a prominent land use attorney and zoning expert, we believe there are enough irregularities in the GLWD-QT plan to mount a serious opposition to this latest example of over development in our neighborhood. By standing together on this, we can stop – or seriously slow – the 180 Sixth Avenue development disaster. 1. Make a check to SoHo Alliance for $1000, $500, $300, $250, $100 or whatever you can afford (no contribution is too small).